For sharp-tongued Miranda Wake, the chance to spend a month in Adam Temple’s kitchen to write an exposé is a journalistic dream come true. Surely Miranda can find a way to cut the hotshot chef down to size once she learns what really goes on at his trendy Manhattan restaurant. The trouble is, she never expected Adam to find out her most embarrassing secret: this critic has no idea how to cook. As for Adam, well, he’s not about to have his reputation burned by a critic who doesn’t even know the difference between poaching and paring. 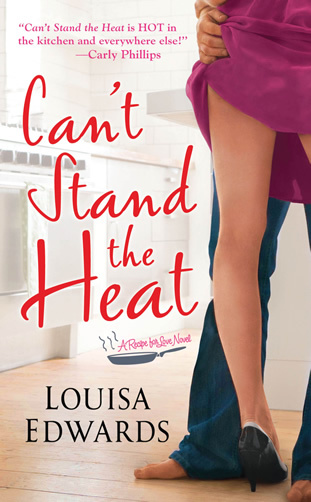 He’ll just have to give the tempting redhead a few private lessons of his own—teaching Miranda what it means to cook with passion. $6.99 U.S. / $8.99 CAN. © Copyright 2015 LouisaEdwards.com - All rights reserved.